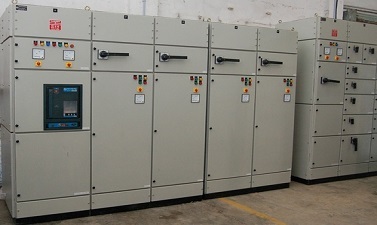 RS engineering projects hold expertise in operations as Auto Phase Sequence Correction Panel manufacturer supplier in Indore, India. 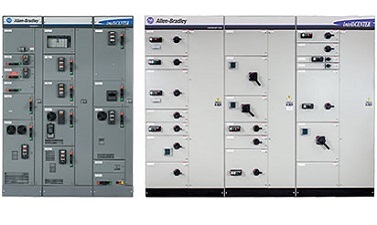 We are one of the renowned providers of a high quality range of Automatic Phase Sequence Corrector Panels / APSC Panels. These panels are technologically advanced and are designed and manufactured using micro controllers and embedded technology. 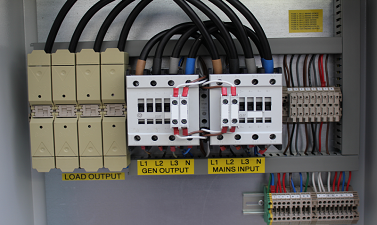 The switches, Contactors, and controllers used for manufacturing these products are tested for high quality before they are incorporated into the panels. Customers appreciate this range for its high performance and durability, which is enhanced by powder coating these panels to make them resistant to corrosion. We are a well-recognized name that is affianced in offering our respected patrons a world class range of Synchronizing Control Panels. This panel is precisely manufactured using the best grade raw material and up-to-date technology in compliance with international quality standards. 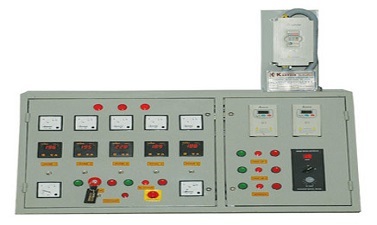 Keeping in mind the varied requisites of our clients, this panel is provided in numerous technical specifications. Besides, this panel can be availed by our patrons from us at the budget friendly prices. 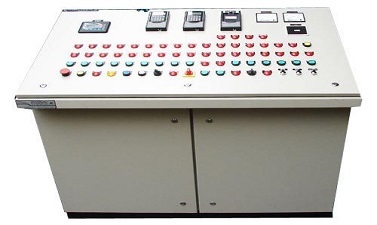 We are listed amongst as the renowned organization in the industry, engaged in offering Control Desk Panels. Superior quality components and equipment are used by our knowledgeable experts in the production process. Apart from this, our panels are correctly packed and delivered at customers’ premises within the committed time frame. In order to deliver flaw free range at client's end, our offered panel is strictly tested by our quality experts against various quality parameters. 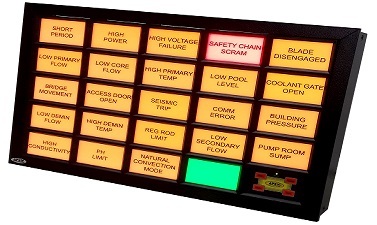 We are one of the major firms offering top quality Instrument Control Panels that is known for its robust construction, high performance and durability. Our offered panels are easy to install and user friendly. These offered panels are sternly quality verified before being delivered to the clients. Our offered panels meet the universal quality standards. Our offered array is made available in different specifications for our patrons to choose from. 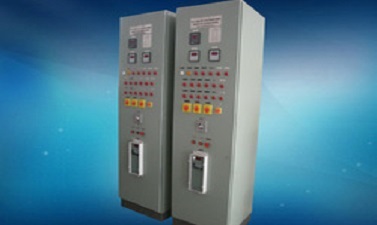 Our organization is involved in offering the premium quality CPRI Approved Electric Control Panels. The offered panels are also available with us in varied models as well as sizes in order to suit all specifications of our patrons. Using the top quality raw material and up-to-date technology, our offered array of panels is manufactured as per the set industry norms. Besides, our offered range of panels is availed in different specifications, as per the varied requirements of our valuable clients. Under this category, we offer a range of VFD Control Panels, which are manufactured using the finest quality material and modern technology. 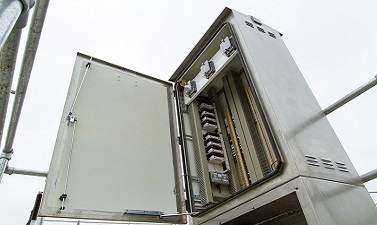 These panels have a sturdy construction and are used for controlling the speed of electric motors. Offered panels in this category are mainly used to control the voltage in power system and prevents it from getting damaged. The panels that we offer are of best quality and are available at market leading prices. 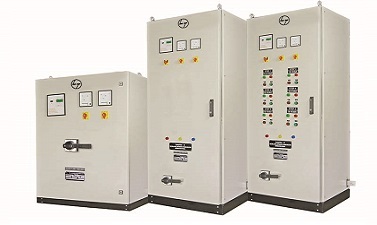 Synchronizing Panel works between two or more different power sources like DG sets to manage power supply. Synchronization helps in making different DG sets behave as a virtual single unit and eliminates subdivision of total load. It helps in transferring load from one unit to another as during service period, so that the unit requiring service can be easily shut off. In this way the critical load need not be interrupted and there is no production loss. During low load we can run any single unit, and synchronize more units as the load increases. This can be manual or automatic. We are one of the recognized names in the industry for designing, keeping in mind the specific requirements of the clients, and providing an array of Electrical Panels some of which are listed below. These panels are made of good quality materials in accordance with industrial quality standards. These find their application in commercial buildings, hospitals, industries, dairies, telecommunications, research laboratories etc. Customers can avail from us, comprehensive range of Meter Boards that is manufactured using very high grade raw material. Immaculately finished, these products have a pleasing appearance and are carefully wired to deliver unmatched performance. Used extensively in domestic as well as industrial purposes, these products are highly versatile and functional. We offer these products at industry leading prices to ensure that they are available to our customers from various segments with different budgetary constraints. 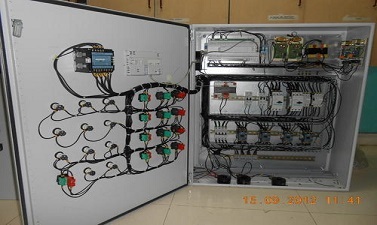 Due to our excellent quality, expertise and perfection, we, today, are known among the leading Electric Meter boards, industrial Meter Boards, and domestic Meter Boards manufacturer supplier in INDORE, India. 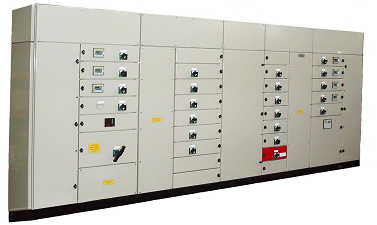 RSEP is a reliable manufacturer of medium voltage panels including ABB, HT Panel, VCB Panel, VCB, LT Panel etc. We are based in India with high end facilities and manufacturing plant. Our work and products display our quality and services. We are experienced, innovative and sincere towards our work. 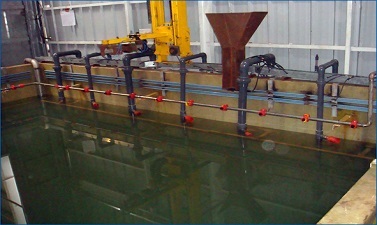 We maintain best quality by taking take of each minute process and tests. 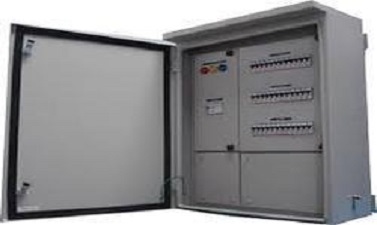 The results we get are highly suitable ABB, HT Panel, VCB Panel, VCB, LT Panel etc. We maintain strict temperatures and vital Clad Metal for necessary quality of our range. 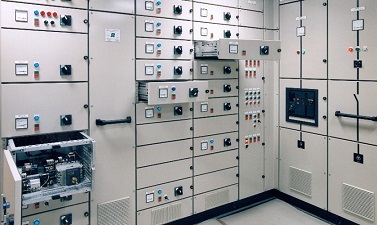 We offer a high quality range of Power Control Centers to our customers. These products are designed, wired, and tested with utmost care and precision before being assembled at the factory with the electrical components inside. 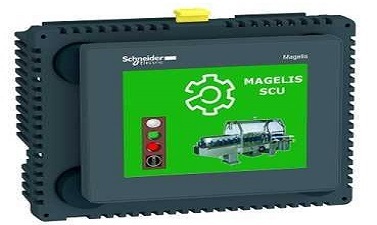 Owing to their impeccable quality and performance, these are used extensively in industries with remote input / output and communication bus to control hundreds of inputs and outputs. As per the specifications of the customers, we can manufacture these products using copper or aluminum bus bars. 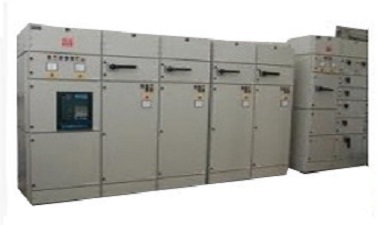 We are expert panel manufacturer supplier in INDORE, India, and the customers can avail from us a range of AMF Panels that is available in a wide range of 10KVA to 1500KVA. AMF stands for Automatic Start on Main Failure, as these are used for automatically changing over from the main electricity supply to the standby generator in the event of failure of the mains supply. On resumption of the mains supply, the system automatically changes over from generator to mains thereby eliminating the unnecessary load on the generator and turning it off. 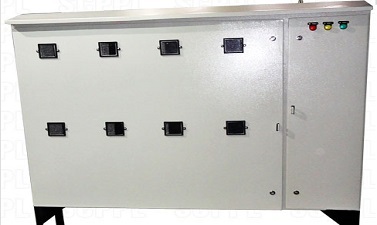 The range of AMF panels also features interlocked MCBs or pole contactors. 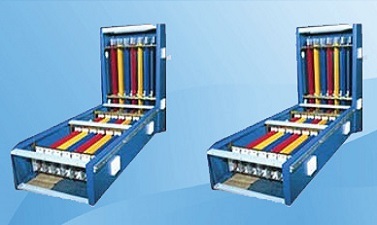 The feeder pillar panels are used to terminate and distribute the control circuits. These are used in almost all the industries, townships and housing societies to put all the cut-outs together. • Feeder Pillar designer and exporter in India RSEP Feeder Pillar for outdoor application and aluminum construction. Fixed type Feeder Pillar with 440 Volts System Voltage. We supply Feeder Pillars which meets high quality standards and zero compromise. Fault Level up to 100 kA for 1 Sec. We bring human-machine interface (HMI) technology, human machine interface system and hmi touch screen, which play a leading role in actualizing an easy and efficient interaction between man and machine. Our human machine interface system, hmi system, industrial human machine interface, hmi technology and hmi touch screen system are designed to address diverse requirements of today's industry applications and facilitate our clients to choose from an array of sleek and compact models. 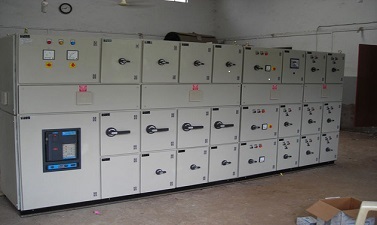 We offer wide range of quality Relay Panels for cement plant controls to our clients. We offer high performance programmable logic controllers that are widely used to automate an assortment of industrial processes. These programmable logic controllers are easy to operate and possess salient features such as digital and analog inputs, relay output, timers, counters, time switches, and auxiliary relays. We provide operational training and on site support for our PLCs. We also offers plc logic controllers, plc programmable logic controllers, programmable logic control, programmable logic controls and industrial programmable logic controllers. 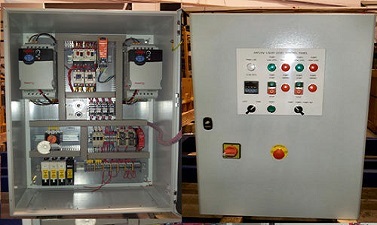 We offer wide range of Starter Panels to our clients. This is our new starter panels and is IP 44 protection. 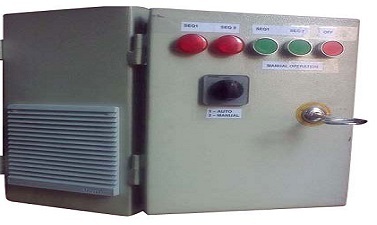 AMF Control Panel is for controlling two DG Sets, Master DG and slave DG This is a Module with Generator monitoring, protection and start facilities. 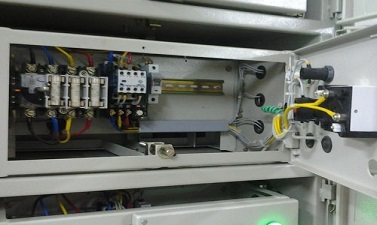 Operation of the module is via three pushbuttons mounted on the front panel with STOP, MANUAL and AUTO positions. Selection of the ‘Auto’ mode is confirmed by LED indicator, and monitors the incoming mains supply (3 Phase or Single phase). Should the incoming AC mains supply fall below a configurable pre-set limit, the generator will be started, and load transferred to the gen-set. When the AC mains supply returns to within limits, the module will transfer load back to the mains. The engine will be instructed to stop after a cool-down period. The module’s microprocessor provides comprehensive functions. 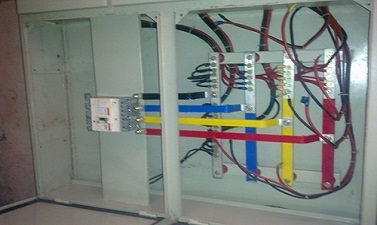 These panels are used in commercial buildings and industries where there is fluctuation in voltage and power supply. The electrical load required by a unit depends upon the type of machineries, cooling plants and other devices installed. There is always a possibility of damage of these equipments if power fluctuates. In case of fixed loads they can be safeguarded using capacitors, but in case of varied loads, a mechanism to switch in and switch out the capacitors is required which is basically handled using APFC panels. 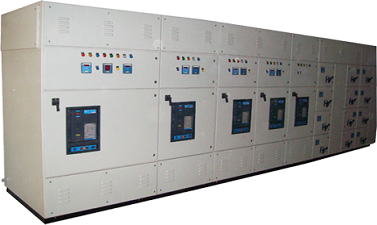 We are manufacturing a wide range of Power Factor Correction Panels / Power Factor Control Panels that is available in auto and manual variants. These products are used to actualize zero voltage switching of capacitors and removing switching transients. By sensing the load current through the current transformer installed in one of the three phases, the power factor helps in calculating the load power factor. This is necessary to take the voltage feedback from the balance in two phases. Owing to the use of inductive equipment and resistive components inside the electrical components, power loss occurs due to the inductivity, which results in less utilization of power. RS Engg.projects Manufacture and Supply of CPRI Approved Fire Hydrant that are used in various industries such as Chemical pharmaceutical. 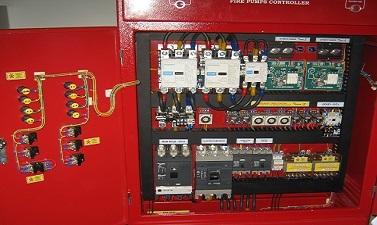 The fire hydrant panels are playing major role of the fire system and are designed by us using advanced technology. They are Known for reliability and durability, our range is available in different specifications to meet varied needs of clients. We are manufacturers of higher capacities beyond 13.5 KVA Energy Saver Panels that are manufactured by our clients requirements. TheseEnergy Saver Panels systems save minimum 15 to 25% of Energy depending on the load condition. They are three phase Energy Saver Panel systems which can handle lighting and mixed loads also in a combination. We are engaged in offering our clients Energy Saver Panels System that boasts of high quality and superior functionality. These are Energy Saver Panels that are suitable for handling lighting and heavy industrial loads. Approved by the license auditor of Industrial Energy Audit Govt., these systems are ideal for analyzing the load during harmonic survey and solutions. Our vendors manufacturers these Energy Saver Panelssystems using a special type heater technology, and install these with a battery charger both single phase and three phase. These systems save minimum 15 to 25% of Energy depending on the load condition. They are three phase systems which can handle lighting and mixed loads also in a combination. 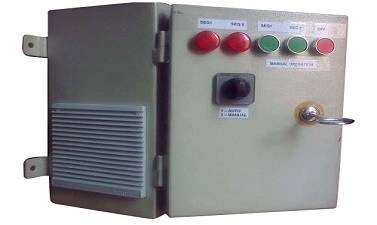 we are the Leading Manufacturer and Supplier of Phase Sequence Corrector Panel in India. Offered range is designed and developed using superior quality material that is sourced from the most valued vendors of the industry. These products find varied application in preventing damages at the time of phase change or reverse. Moreover, these are safe to use panels that are ideal for single phasing and voltage imbalance. RSEP in its starter hvac product category also manufactures customized range of AHU Panels for various sizes of AHU motors. AHU Panel comes with a motor starter of DOL or Star-Delta type with or without VFD. 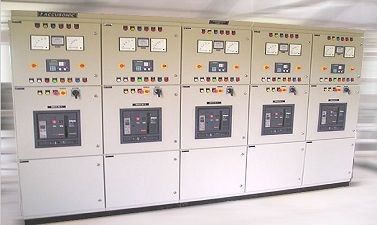 The AHU Panel can be supplied with VFD as well as bypass starter. 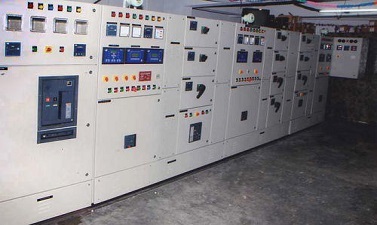 To meet various requirements of our clients, we are engaged in offering an extensive array of Fixed And Drawout Motor Control Centers which is manufactured using higher quality basic material and current technology by our experts. In order to deliver flawless range to clients, the entire assortment is strictly verified on different parameters. The offered product is available in different dimensions and specifications as per the variegated specifications provided by the clients. To maintain our goodwill in this industry, we have come up with a high grade and distinctive collection of Motor Control Centers. Manufactured in tandem with the industry define standards and guidelines, our offered centers are manufactured making use of premium class raw material and highly up-to-date tools and machinery. In addition to this, we provide these centers to our clients at highly reasonable costs. 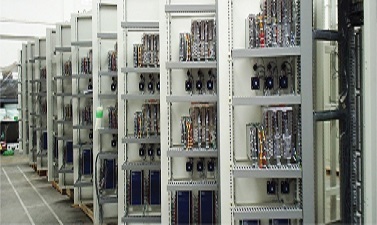 RSEP has a wide range of HVAC application panels. 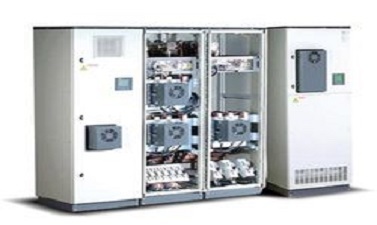 Be it a AHU starter panel or high end Chiller Control Panel with multiple compressor control, RSEP provides wide range of customized control panels. 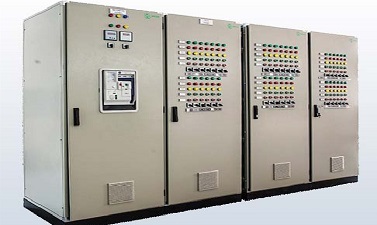 Our MCC panel is also more reliable when it comes to performance in HVAC system. 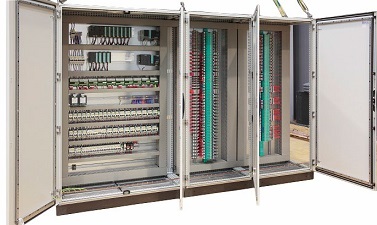 Merging proficiency with modernization, we are dedicatedly involved in offering an extensive array of DC Drive Panels. Our offered panels are designed to exhibit perfection using high quality raw material and modern techniques according to the industry set norms and global standards. 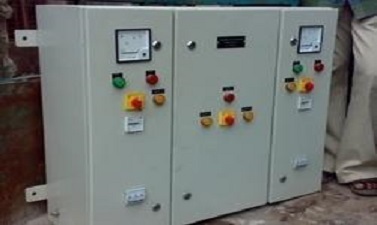 Our panel is highly demanded in the market owing to their effectiveness and rust free nature. This panel is offered at economical prices, which is beneficial for our customers.